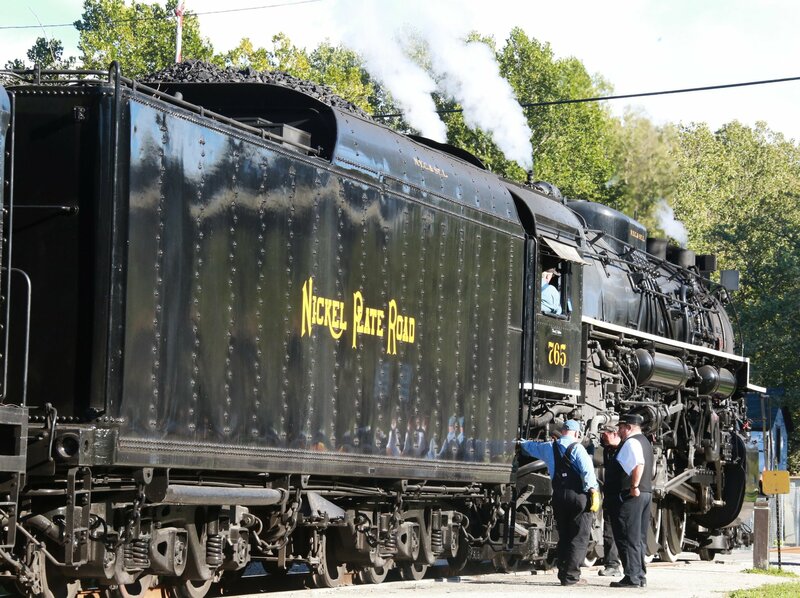 Experience the magic of the historic Nickel Plate Road steam locomotive no. 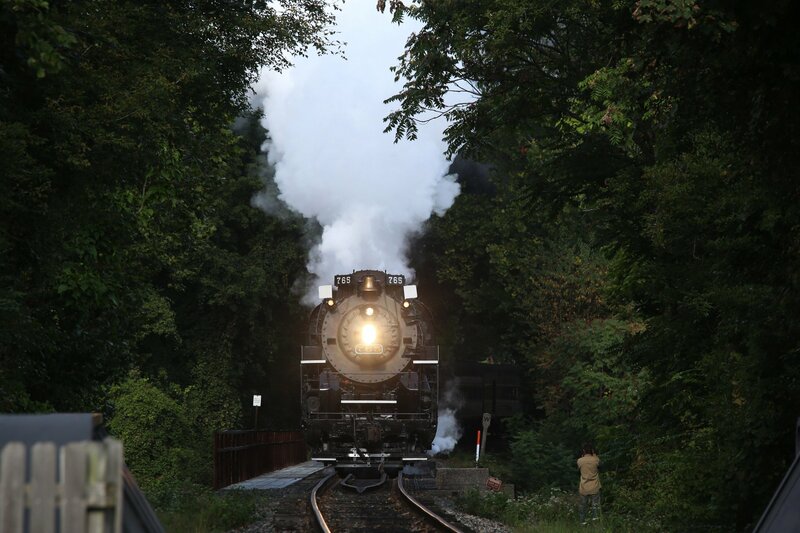 765 this September at Cuyahoga Valley Scenic Railroad, located in Northeast Ohio. During this two and half hour round trip, passengers will have the opportunity to deboard the train at a secure location for an exclusive photo opportunity. 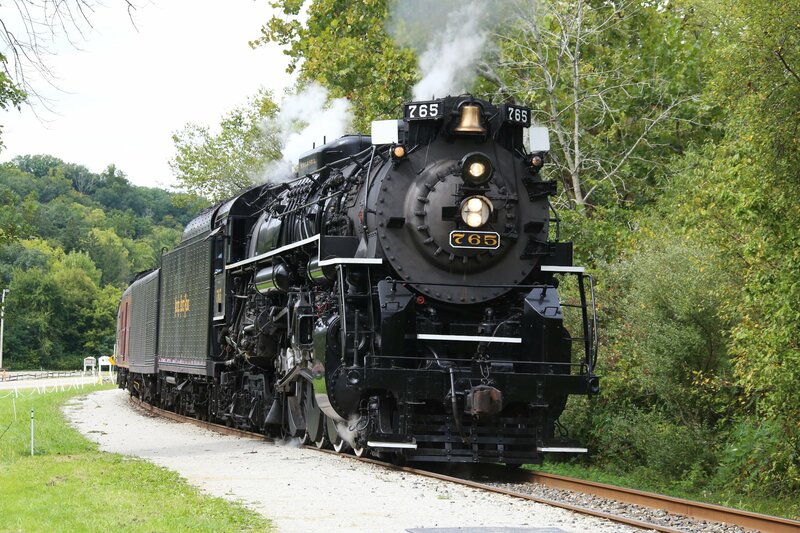 Experience the sights and sounds as this 400 ton locomotive chugs through the Cuyahoga Valley National Park. We encourage guests to dress for the occasion in their best 1940s or 1950s look! Coach seating, open air cars, historic luxury first class, and dome observation cars are available. Tickets are not yet on sale for Steam in the Valley 2019. 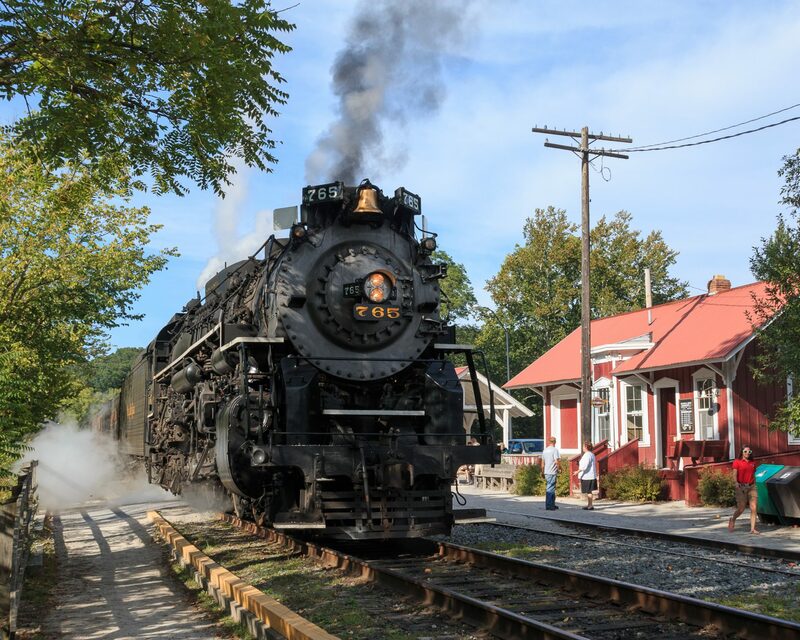 The National Park Scenic excursion will not be running on September 20-22 and 27-29 due to Steam in the Valley. Bike Aboard will also not be running. The ride is an approximately two hours round trip. Will the steam engine stop to take pictures? Yes. The train will stop at an undisclosed area for passengers only to deboard and take pictures. We will not disclose the location of the train to non-ticket holders. Is there handicap access to board the train? We have an ADA lift to board passengers with mobility issues. Please contact Customer Service at 1-800-468-4070 ext. 240 to reserve tickets in this car. Is there food on board and can we bring our own? There is a concession car on board where you may purchase various snacks and beverages. We accept cash and all major credit cards except for American Express. We cannot accept personal checks. No outside food is permitted on board. All of our cars on temperature controlled. Yes, there are restrooms on the train and at the boarding stations.